Whether you’re fifty years old and married to the same man for 30 years or you’re only celebrating your fifth wedding anniversary, it’s never too early (or too late) to think about pension plans and retirement accounts. If you’re thinking about getting a divorce or are already in the process, you should begin thinking about these issues now. By putting away for the future, you can retire with the expectation that there will be money to live on and hopefully, some extra for pleasure. 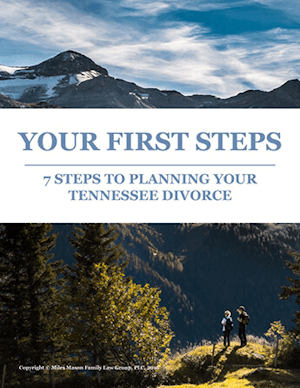 Getting divorced requires additional planning to ensure you still receive funds earned during the course of the marriage because these are considered marital property (see Tennessee Property Division Divorce Laws and Factors). Below are some important concepts and terms you should learn. Once you have a basic understanding and want to proceed with a divorce, look to a skilled, experienced family lawyer to help you work through the process of dividing up retirement and pension accounts as part of your final divorce agreement or refer you to a financial advisor experienced in advising divorcing spouses. 1. Qualified Domestic Relations Order (QDRO). If your divorce agreement divides a pension and/or 401K plan (both are described in more detail below), a court must order a QDRO, which instructs the pension plan administrator on how to pay the non-employee spouse’s share of the benefits and allows the money in the account to be divided and withdrawn without penalty and deposited into the non-employee spouse’s retirement account. The QDRO must be completed and presented to the pension plan soon after your divorce is finalized. Defined benefit plans are sponsored by employers and pay employees particular dollar amounts once they retire. Employers, not employees, are in control of the plan. Defined benefit plans include: pensions (generally a series of payments (generally paid out monthly or in one lump sum) made to employees upon retirement and; annuities, which grant the individual the right to receive fixed or variable payments at regular intervals over a period of more than one full year. Many financial advisors prefer other types of investments over annuities because the return on annuities tends to be lower than in other investments. A 401(k) is a profit-sharing or stock bonus plan under which an employee can choose to have the employer contribute a portion of the employee’s cash wages to the plan on a pre-tax basis. Income is generated within the plan, but the income is not taxed until the money is distributed at retirement. A 403(b) tax-sheltered annuity (TSA) plan is a retirement plan offered by public schools and certain tax-exempt organizations. Generally, both the employer and employee pay into these plans. The deferred earnings generally do not get taxed by the federal government or by most state governments until they are distributed. These plans are for employees who work for a state or local government or for a tax-exempt organization. Tax is deferred on these plans until the amounts are distributed from the plan or otherwise made available to employees. Only employers contribute to profit-sharing plans, and the amounts are predetermined by a set formula. This money then goes into a separate account for each employee. There are contribution limits set by federal income-tax law. Both employers and employees can make contributions, but employers are required to make a contribution to the plan (with contribution limits) on behalf of the participants each year. A participant’s benefit is based on the amount of contributions to her account and the gains or losses associated with the account at the time of retirement. (ESOPs) are formal arrangements made by corporations for employee participation and ownership. Employees are usually given stock ownership in the corporation after a certain length of employment and can then buy shares at any time under favorable terms. SIMPLE plans were created for small businesses as a cost-efficient way to offer retirement benefits to employees. Employers and employees may both contribute. SIMPLE plans are available to only certain qualifying employers with 100 or fewer employees. Employees who are eligible to participate in a SIMPLE plan may not receive any contributions or benefit accruals under any other plans of the employer. Withdrawals are taxed in the year received. A SEP is a a qualified plan under which employers make contributions to traditional IRAs set up for employees, with certain limits. The SEP IRA is owned and controlled by the employee. Self-employed individuals can also set up a SEP.
An IRA is a trust or custodial account created for the exclusive benefit of individuals. There must be a written document, and the trustee or custodian must be a bank, a federally insured credit union, a savings and loan association, or another entity approved by the IRS to act as trustee or custodian. There are restrictions on the amount of contributions that can be made each year and they must be made in cash. The individual has a right to the amount at all times and the amount cannot be used to buy life insurance. The owner must start receiving distributions by a certain age. Many 401(k) plans can be transferred into (“rolled over”) into IRAs. A traditional IRA is any IRA that is not a Roth or SIMPLE IRA. Contributions made to a traditional IRA can be fully or partially deductible, depending on the circumstances. Funds in the traditional IRA are not taxed until they are distributed when the individual retires. Contributions to a Roth IRA are not tax-deductible, but there are fewer restrictions and requirements on withdrawal. The Roth IRA’s most important advantage is that appreciation and income within the account accumulate tax-free, and if all requirements are satisfied, Roth IRA distributions during retirement are tax-free. Separate interest divides the pension completely between the spouses. If offset (see below) is not chosen, this is usually the preferred option. Offset leaves all of the pension interest with the spouse who has it, and other assets, of the same value, are exchanged. But before allowing for this, you need to know the estimated value of the pension to be sure you’re getting a fair deal. A forensic accountant can help you with valuing pension interests. Shared interest means the money is not divided and instead, the participant receiving the pension must pay the former spouse a fixed sum after the payout of the pension begins. This method is almost always a last resort and generally used when the pension interest cannot be divided and there are not enough assets to complete an offset. Your lawyer will advise you on strategy and law, but much of the material you’ll need to supply. 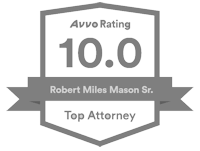 Take an active role in moving the divorce agreement forward by providing your lawyer with these documents as soon as possible. Your attorney needs these documents to calculate the estimated value of your part of the pension, handle the negotiations regarding division of the pension, draft a thorough settlement agreement, and draft or review the proposed QDRO. By supplying your lawyer with these documents, s/he can prepare more efficiently and on time. The summary plan description of the pension plan and the text of the pension plan. This will usually provide your lawyer with everything needed to know about the pension, the definition of terms, and the basics for its division. If it doesn’t, your lawyer should know how to obtain the additional information required. Ask him or her to tell you if it’s not enough and what else is needed. The most recent annual benefits statements for your pension plan. If you didn’t keep your copy or never received one, you can obtain them by looking online, calling the plan administrator or your employer. These statements are important because they include the employee’s basic information, pension benefits accrued to date, vesting analysis, expected benefits, and other statistical information. Generally the three most recent annual benefits statements should be provided. The plan administrator’s QDRO procedures and the plan administrator’s sample QDRO form. Learning about pensions and retirement plans can seem overwhelming. Going through a divorce only increases the tension. Learning these terms and concepts is the first step in understanding your rights and providing you with the background you’ll need to be informed clients when you meet with your lawyer. For more information, see Jeff Landers’ article “How Divorcing Women Should Handle Retirement Accounts and Pension Plans,” Forbes.com, June 13, 2012. 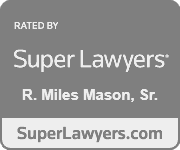 Miles Mason, Sr., JD, CPA practices family law exclusively and is founder of the Miles Mason Family Law Group, PLC, in Memphis, Tennessee. Miles is the author of The Forensic Accounting Deskbook: A Practical Guide to Financial Investigation and Analysis for Family Lawyers, published by the American Bar Association.